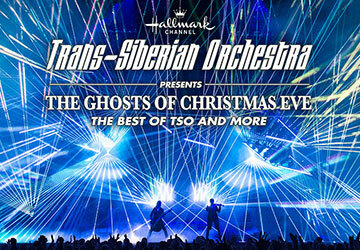 Lisa and Kent caught up with Trans-Siberian Orchestra’s Al Petrelli about this year’s tour. The show features the traditional TSO favorites and several new songs and, of course, lots of pyro and special effects. There won’t be a bad seat in the house! One show at the Peake: Wednesday, December 5th, 7:30 pm.